Big Sur’s rugged mountains, crashing surf, and abundant wildlife have captivated generations of visitors. But the region has also attracted scientists bent on understanding this remarkable biological melting pot, where plants and animals from dramatically different ecosystems often mingle side by side. One biologist who has taken a close look is Paul Henson, who lived in the region in the 1980s and, with Don Usner, wrote The Natural History of Big Sur (University of California Press, 1996). Big Sur attracts scientists due to its status as a biological melting pot. In no other part of the world do fog-loving coastal redwoods thrive on one slope of a canyon while arid-climate yuccas grow on the other, the book notes. Similarly, sea otters and cormorants live near dry-climate creatures like canyon wrens and whiptail lizards. Henson, who now works for the U.S. Fish and Wildlife Service overseeing biological studies in Hawaii and other Pacific Islands, spoke with NATURE about Big Sur’s remarkable diversity. I earned my undergraduate degree at the University of California, Santa Cruz, and did a lot of work at a university reserve called Big Creek that covers a big chunk of the Big Sur coast. Then, in the mid-1980s, I got a job doing sea otter research. During my down time, we started on the natural history guide. We realized that there was lots of good information floating around, but it hadn’t been consolidated in one place, and made accessible to scientists and understandable to regular readers. So we decided to do it. Big Sur attracts scientists due to its status as a biological melting pot. What makes Big Sur unusual? For lack of a better term, it represents a kind of harmonic convergence of different ecological zones. It’s where the north meets the south, for instance. What’s called the Oregonia province to the north meets the Californian province to the south. So you have redwood trees meeting cacti and intermingling. You have northern and southern species of marine alga. One minute, you are hiking along in a wet cool canyon, and all of a sudden there will be a cactus. One minute it smells like Oregon and the next it smells like Mexico. The geology plays are role, right? The geology and topography forms the basis for it all, and it has driven geologists crazy for years. It’s incredibly jumbled and complicated. You have all these faults and slices of rock that have moved over time. And then on top of that you have a very interesting climate. Big Sur has a Mediterranean climate, which it shares with just four or five other areas in the world. It’s a climate that is extremely conducive to a lot of plants doing well. Taken together, those things make it one of the most ecologically fascinating and diverse areas in North America. Yes. 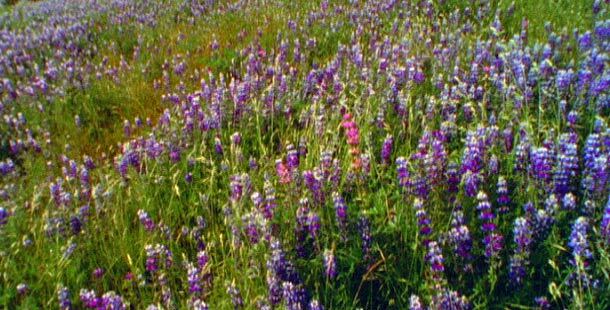 In the 1800s, it attracted a lot of famous botanists because there are plants there that grow nowhere else. The Santa Lucia mountains have a lot of unique species because, at times, that area has been an island. So plants and animals that lived there have been cut off from other populations and evolved in their own direction. Probably the most famous species is the Santa Lucia fir tree, which is found in just a few canyons and nowhere else in the world. It looks like a tree in a Dr. Seuss book — the top droops over and it has these interesting cones. Do you have a favorite spot in Big Sur? 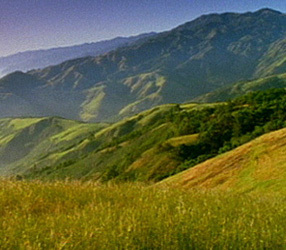 Probably the Little Sur River Valley in the Ventana Wilderness. It has such a great combination of giant redwood trees and really dry chaparral. It’s one of those places where you have very different ecosystems within spitting distance of each other. How about a favorite animal? Probably golden eagles. The raptor [bird of prey] populations there are amazing. There are places where you can sit on a hillside, look out, and see five or six different raptors in a minute — golden eagles, red shouldered hawks, kites, red tailed hawks, kestrels. It’s a great show.